Many games are out there that give the players the thrill and excitement they need. Among these games, table tennis has made a name for itself across the board. As a physical and mental taxing indoor game, a significant number of people have adopted table tennis. To play the game, you need a table tennis table. This may, however, come at a high price that may not be in your price range. Here, considering used table tennis tables becomes a welcome idea. There are different makes of the various tables in the market today. For one reason or the other, a user may sell theirs. Before buying a secondhand or used table tennis table, there are factors you first have to consider carefully. To range what price you should pay for a used table tennis table, you first have to consider its current market price. This will give you the overall picture of the value of the product. This means, as the buyer you will first have to get the model specifications of the table before making any negotiations. You can compare this price with a new similar product and get the overall value in the current market. You should then consider what year they released the model. This will help you actively calculate an average of how old the product is. Once you have established this, you can now calculate a depreciation percentage over this period. Once you have completed the above steps, you should have average initial pricing. From here, you can now consider other factors such as tear and wear. This involves inspecting the table’s background and testing a ping pong ball on it to see how the bounce reacts. Proper analysis of the above factors will give you some insight on what you should pay for it and what the quality of the product is. Used table tennis tables have several advantages to them. The most outstanding one is perhaps the pricing. They are mostly available for cheap. Besides, you can also test for quality before making the purchase. You may get a poor quality product. Without proper insight, some sellers may attempt to defraud you and get a higher price for a low-quality product. To avoid this, make sure you are well-versed with what you should look for before making the purchase. You can find used table tennis tables both online and offline. 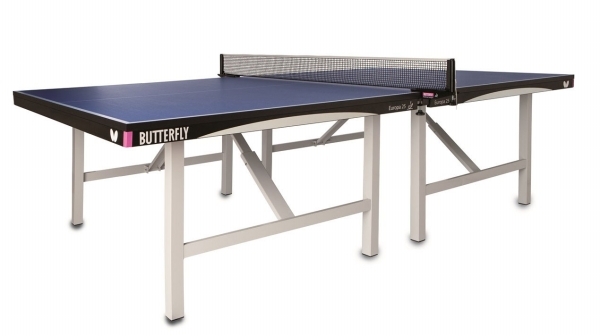 Most used table tennis tables are available online at Walmart, Amazon, and Megaspin – Refurbished Tables. For those who prefer offline arrangements, you can get one at various table tennis tournaments. You can find tables are for sale soon after the tournaments at a great bargain.